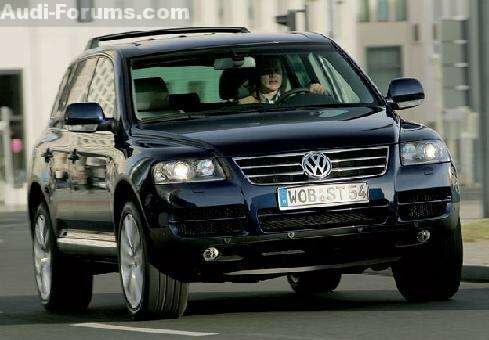 The Volkswagen Touareg has been awarded five Euro NCAP stars. This also puts the popular SUV at the top of its segment in terms of safety. Scoring top marks, a total of five stars for frontal, side and mast impact, the Volkswagen Touareg has achieved the highest possible score within the internationally recognised Euro NCAP safety tests. Euro NCAP also classifies the vehicle&#39;s child safety as outstanding, awarding it four stars. This is the result of perfect interaction between the Volkswagen Touareg&#39;s structure and its standard safety features. Amongst others, these include two-stage front airbags, seat belt pre-tensioners on all outer seats, side airbags and curtain airbags. The Euro NCAP organisation was founded in the mid-90s. Amongst other agencies, it is comprised of the European Commission, the International Automobile Federation&#39;s (FIA) Foundation for the Automobile and Society, the ADAC (German Automobile Club), the German Federal Ministry of Transport, Building and Housing and other European transport ministries.